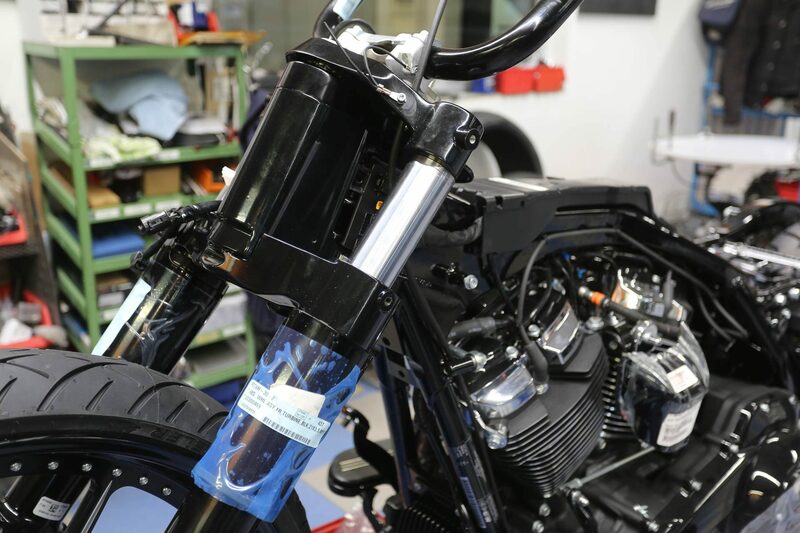 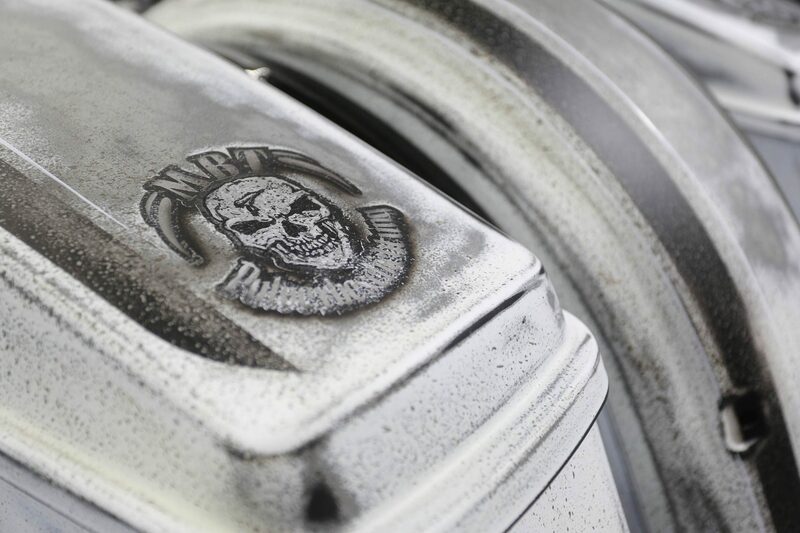 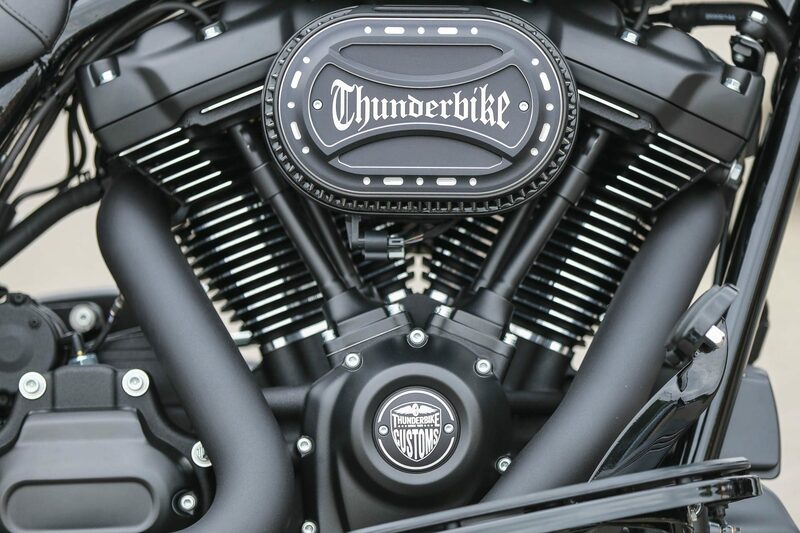 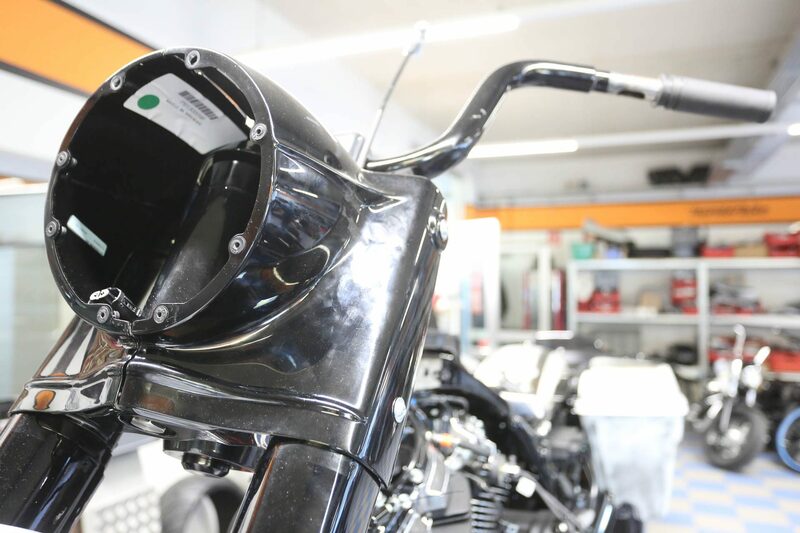 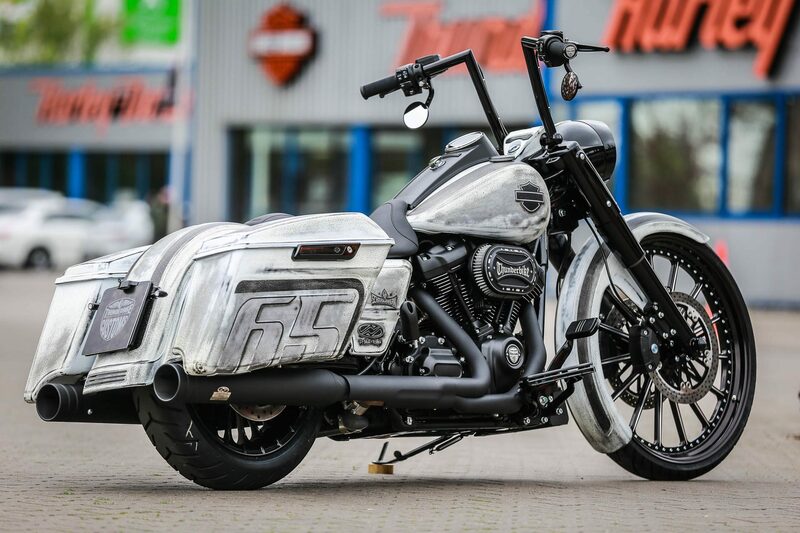 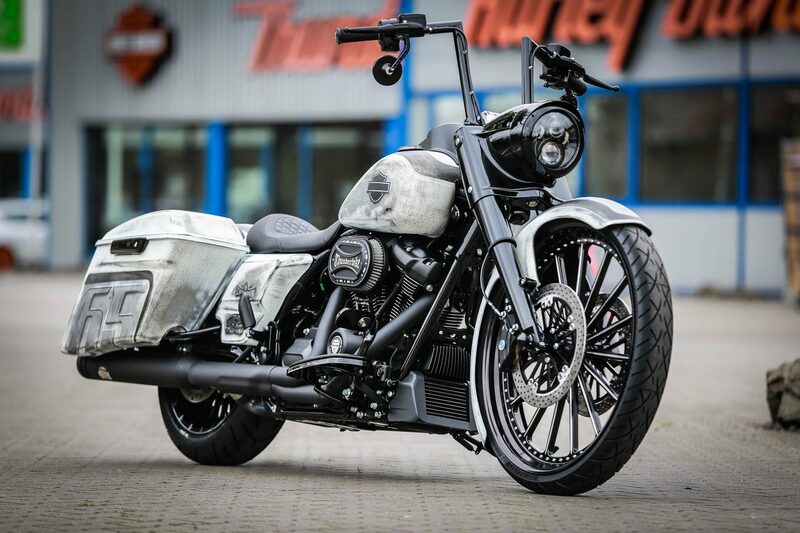 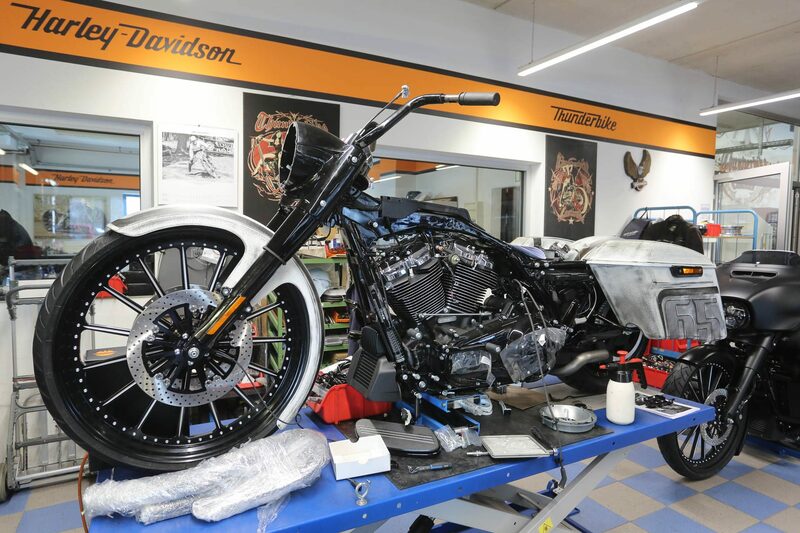 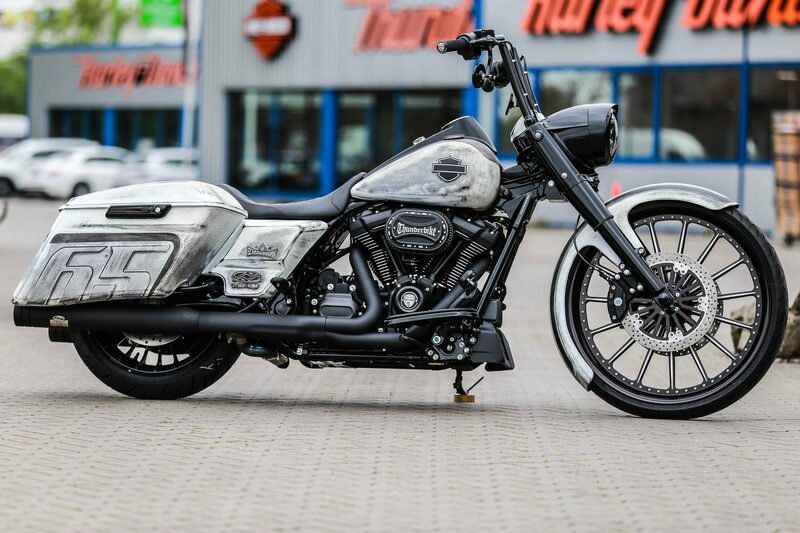 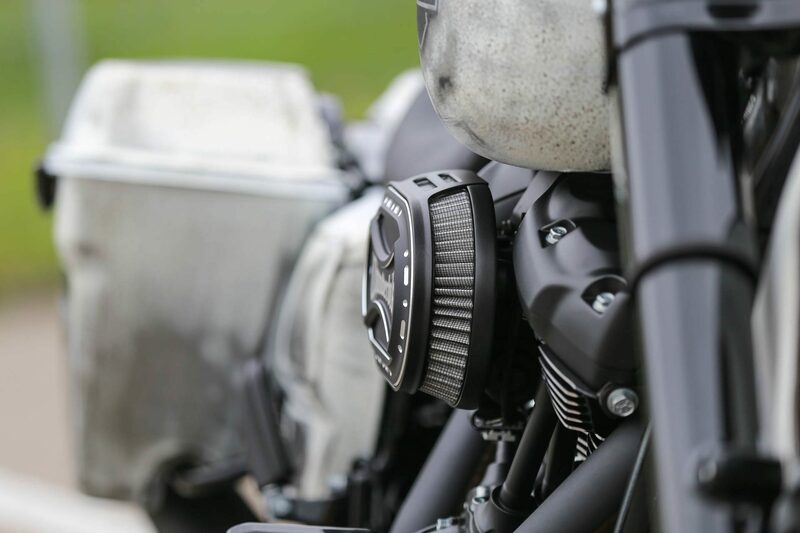 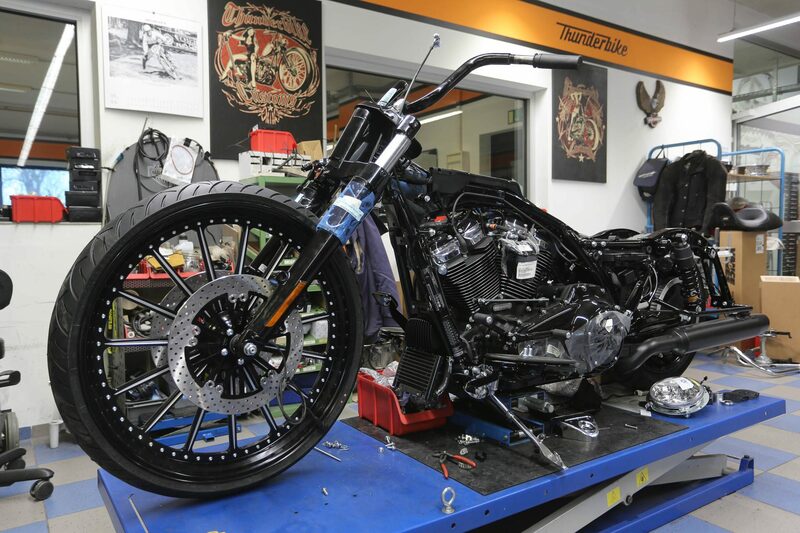 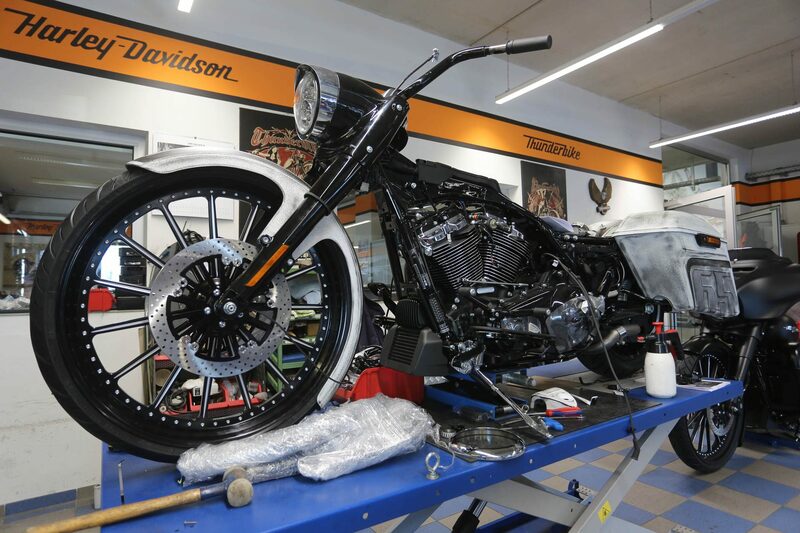 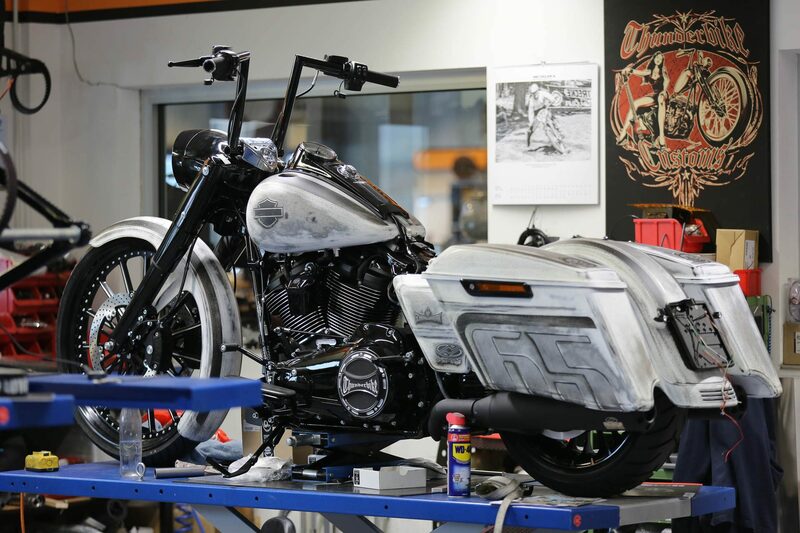 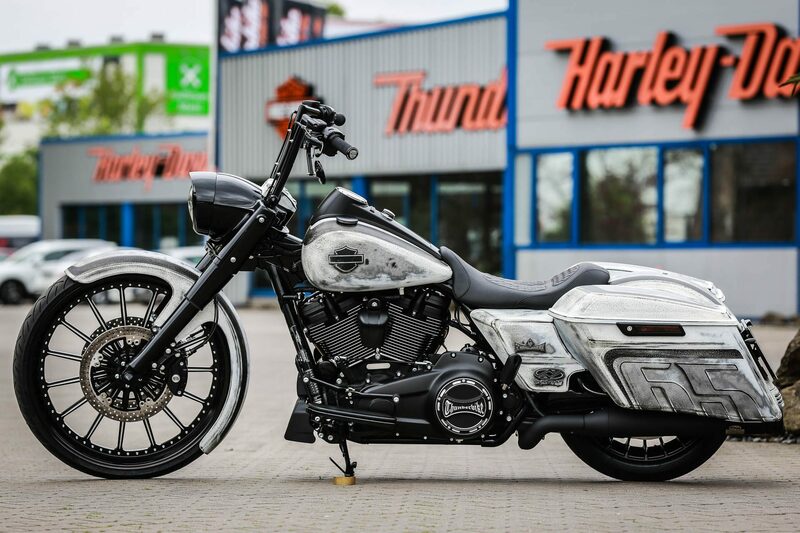 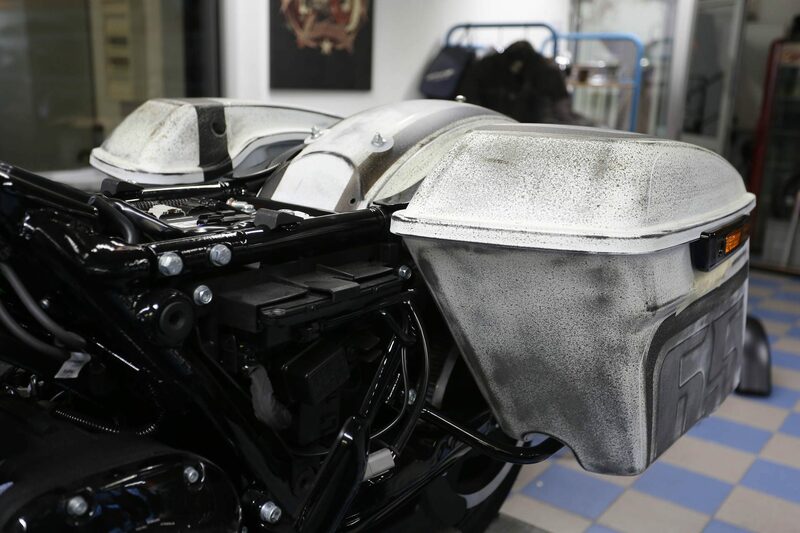 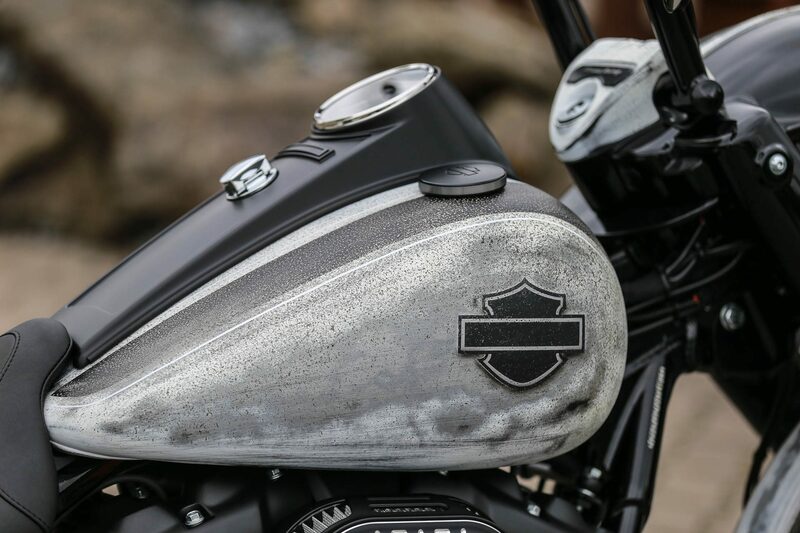 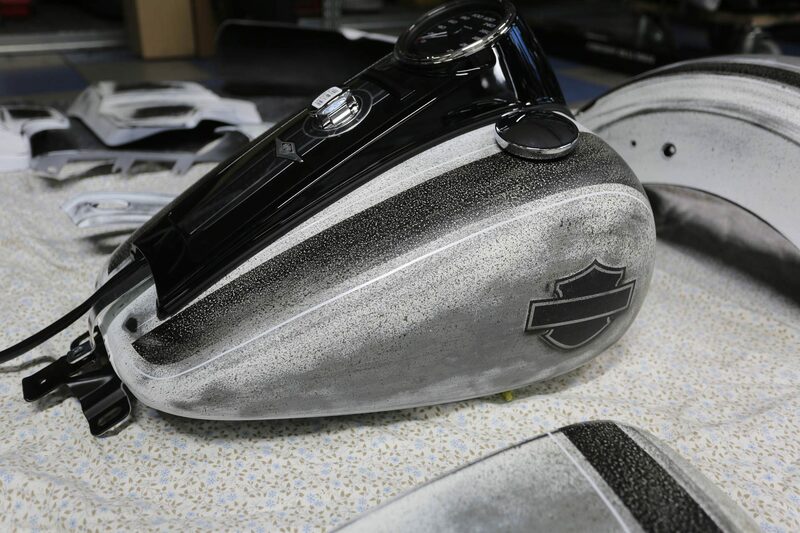 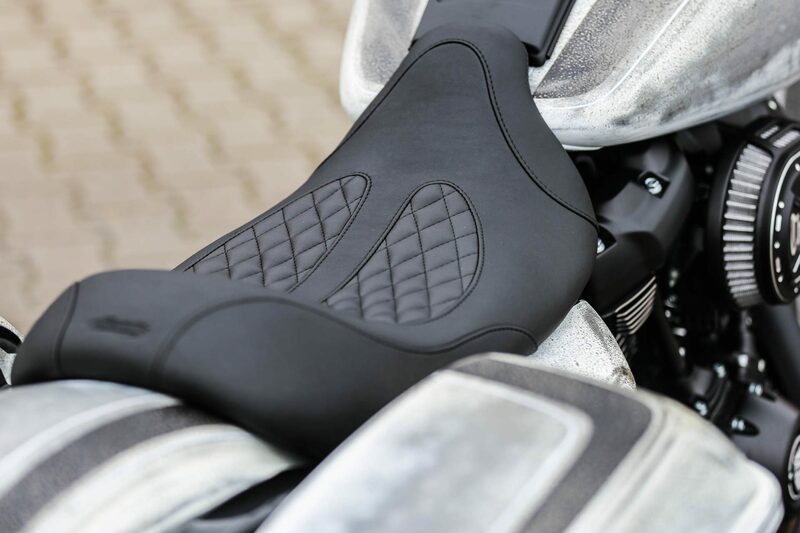 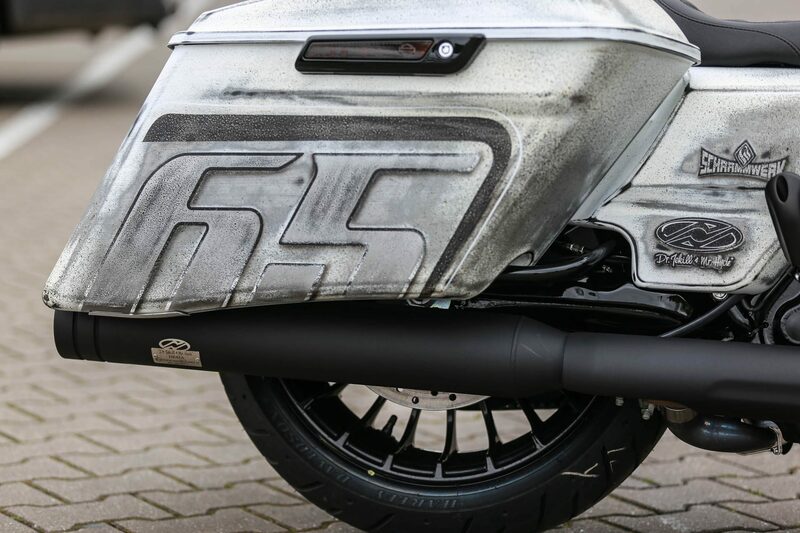 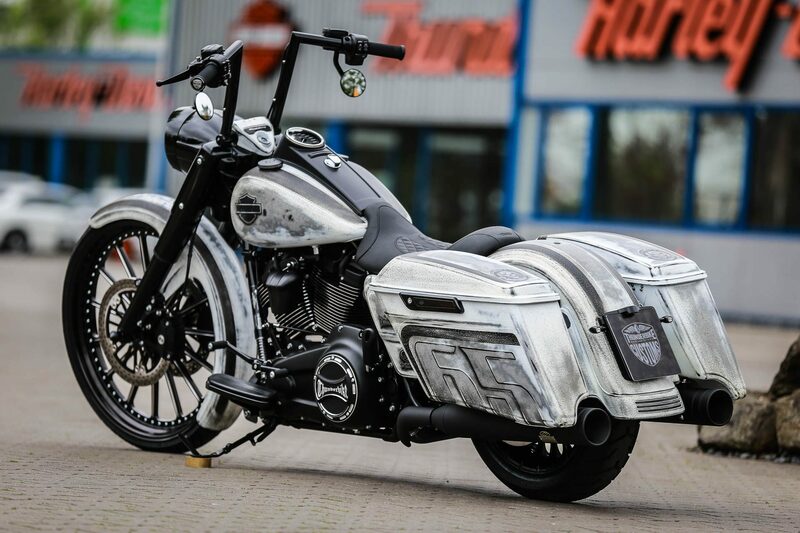 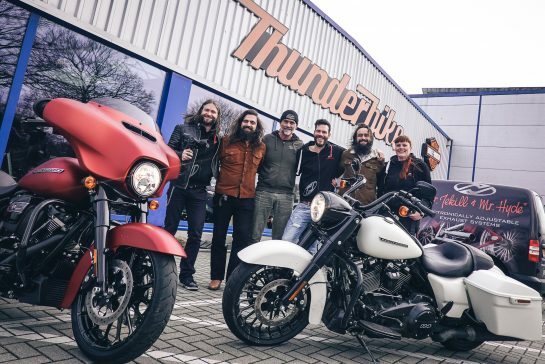 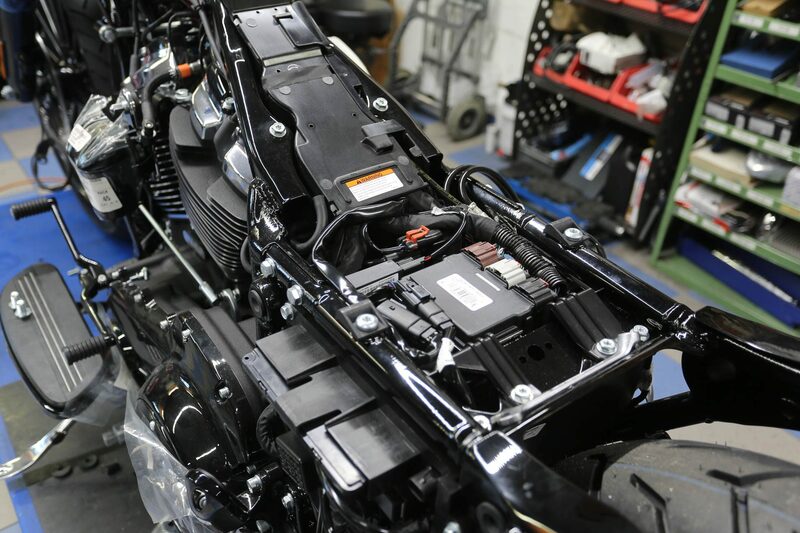 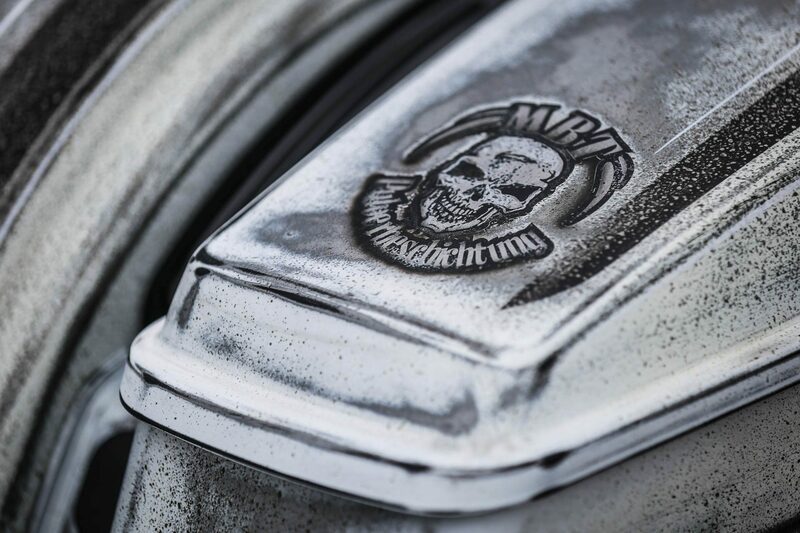 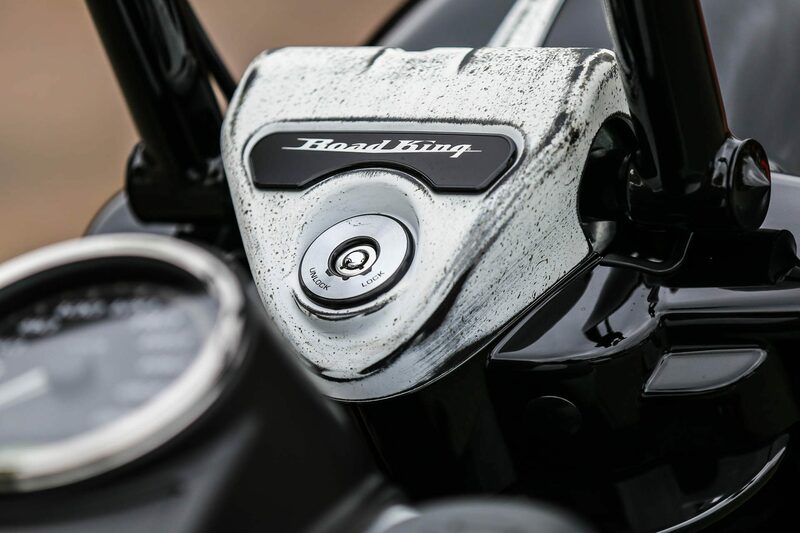 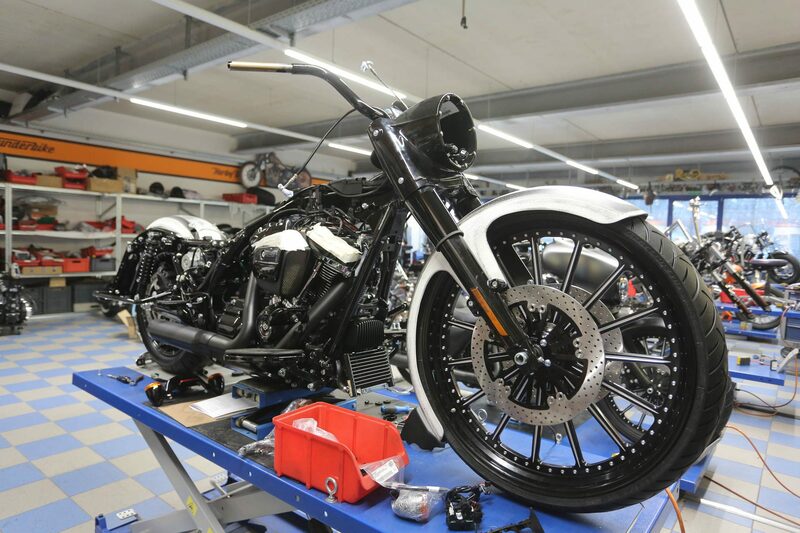 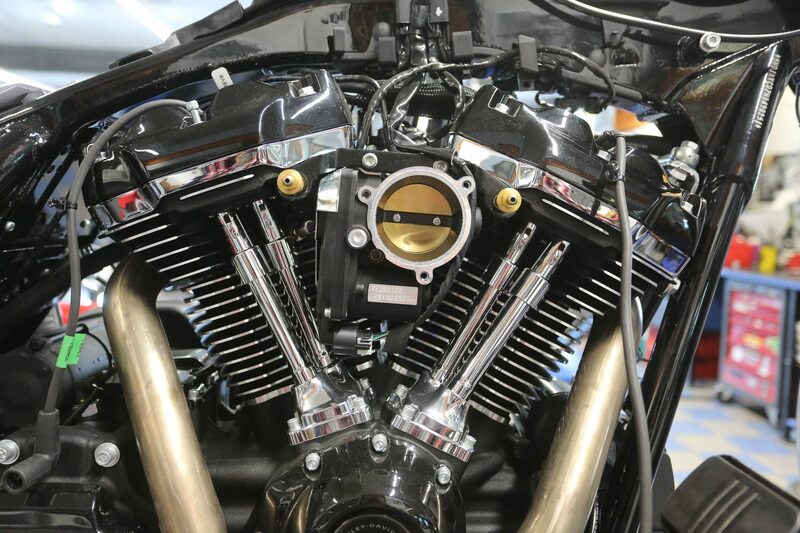 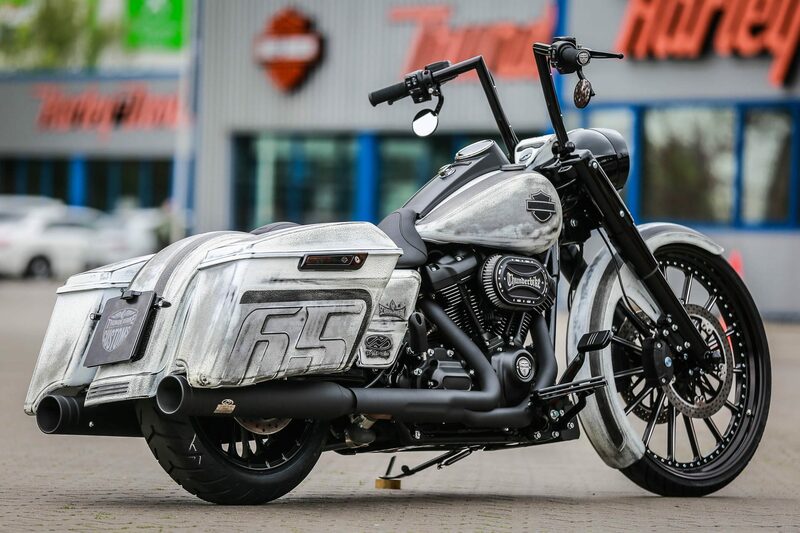 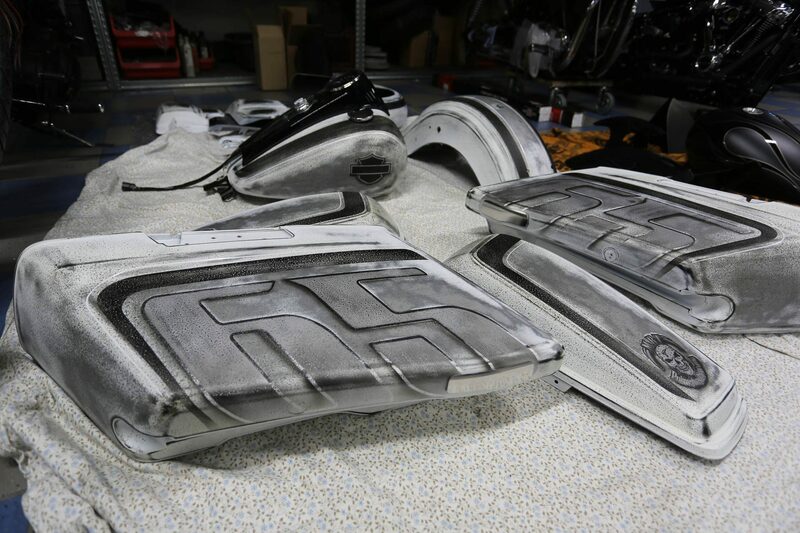 Matching the Fourty Eight Bike “MBT 93”, our metal coating technician has received a Thunderbike custom conversion from the popular Road King range. 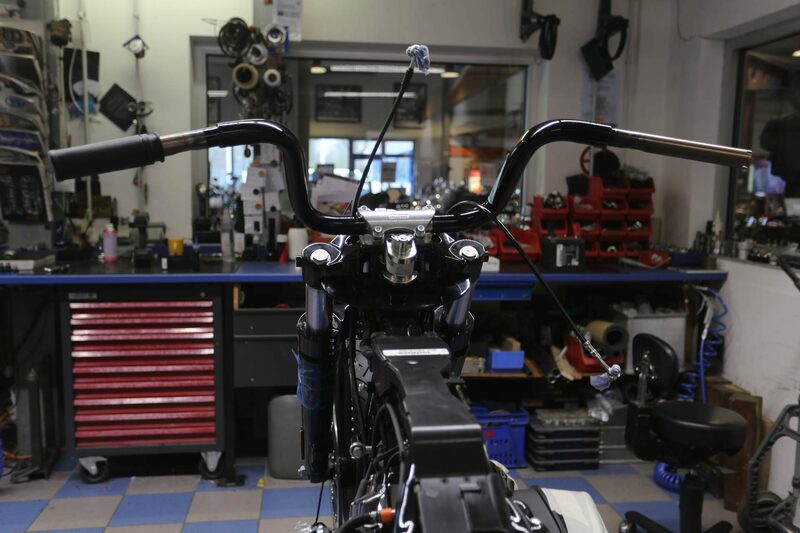 The bike can be seen from miles away. 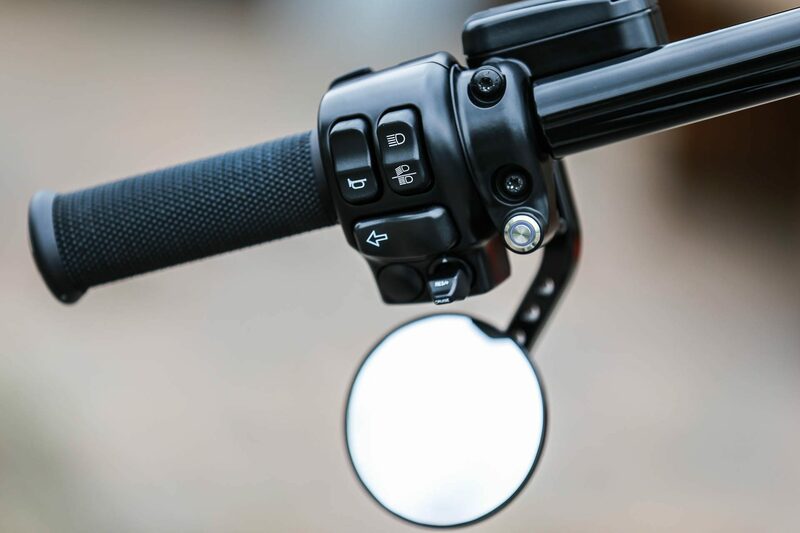 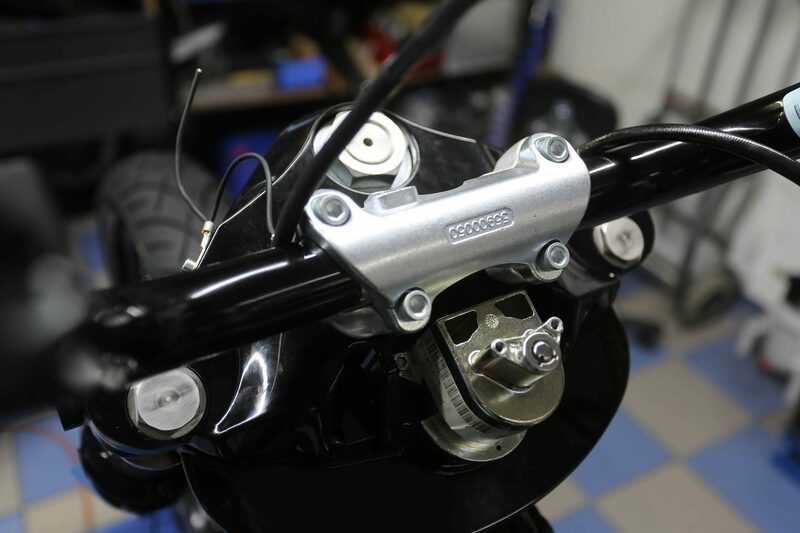 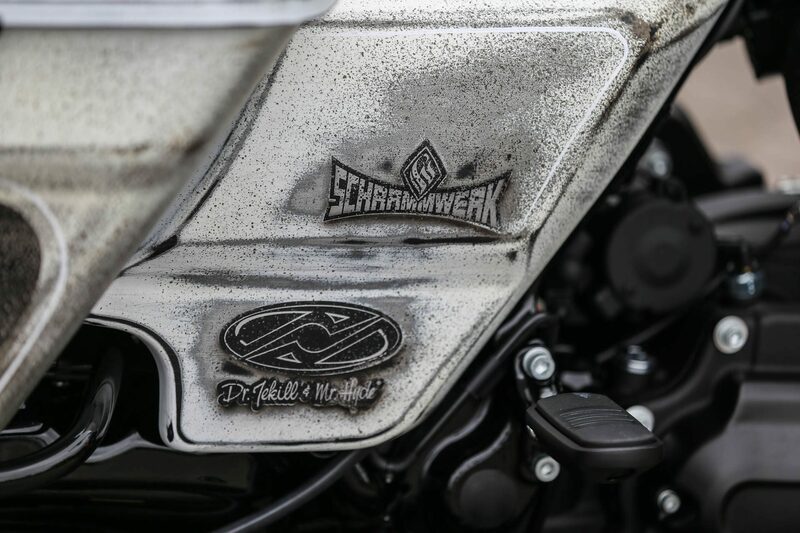 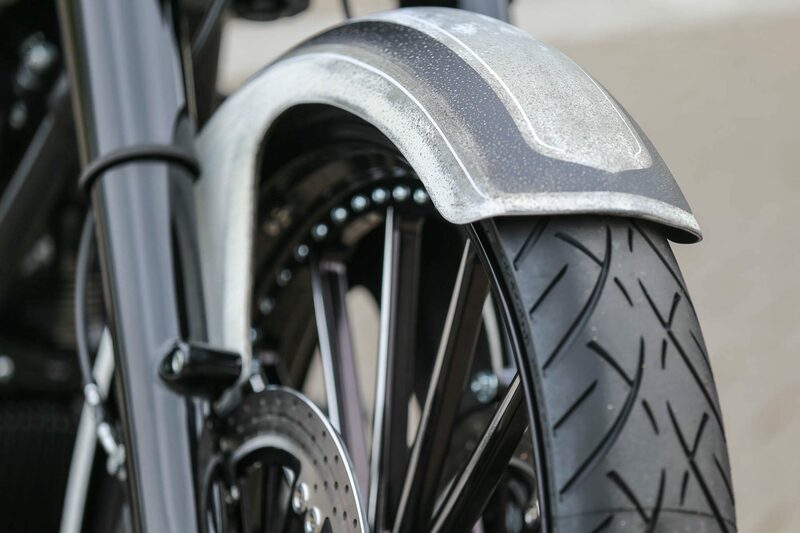 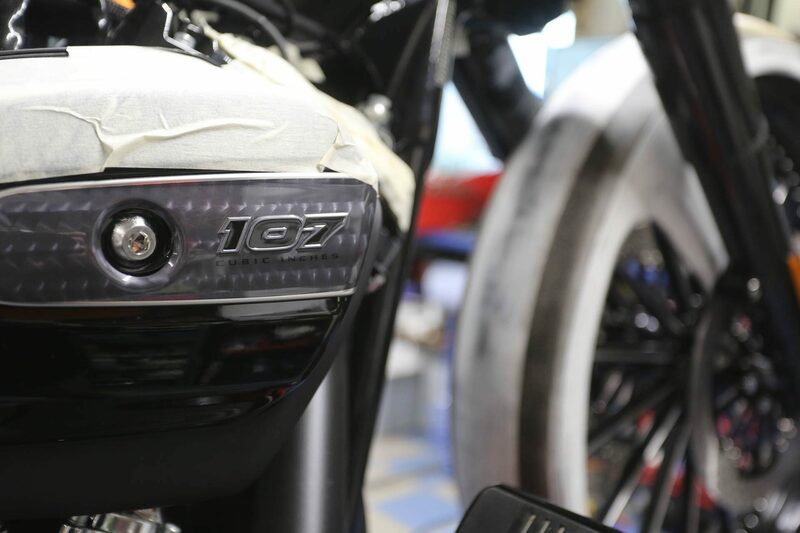 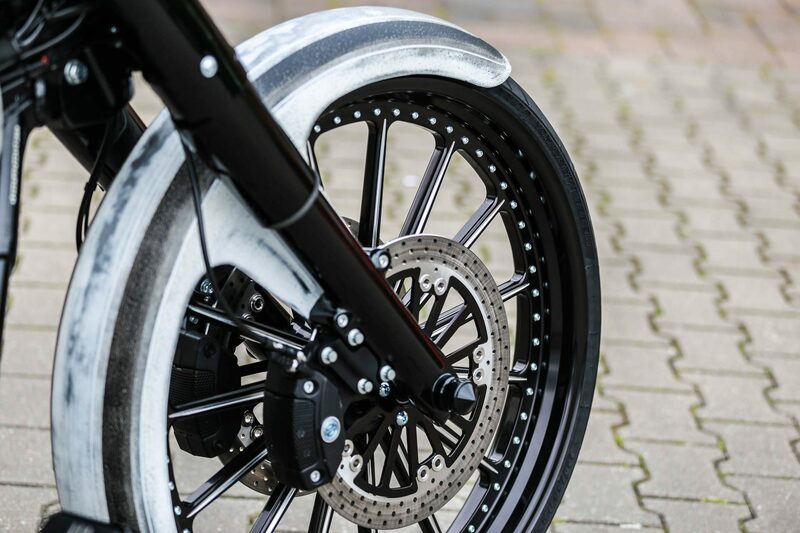 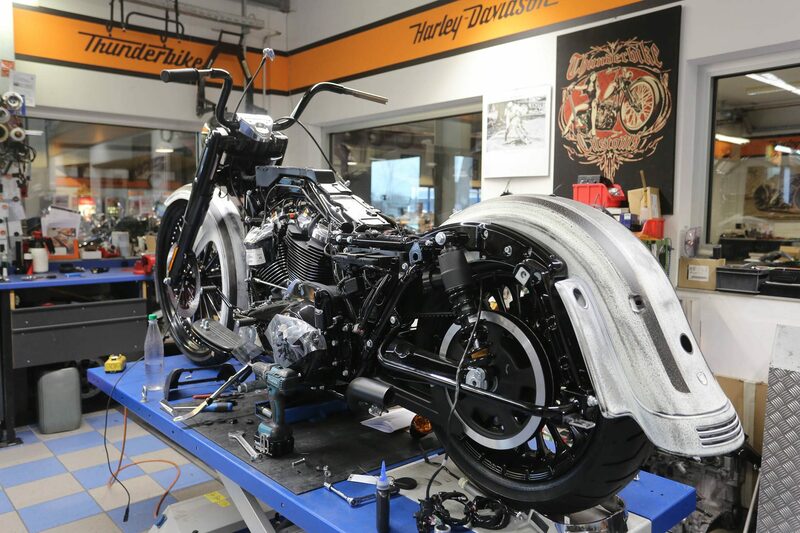 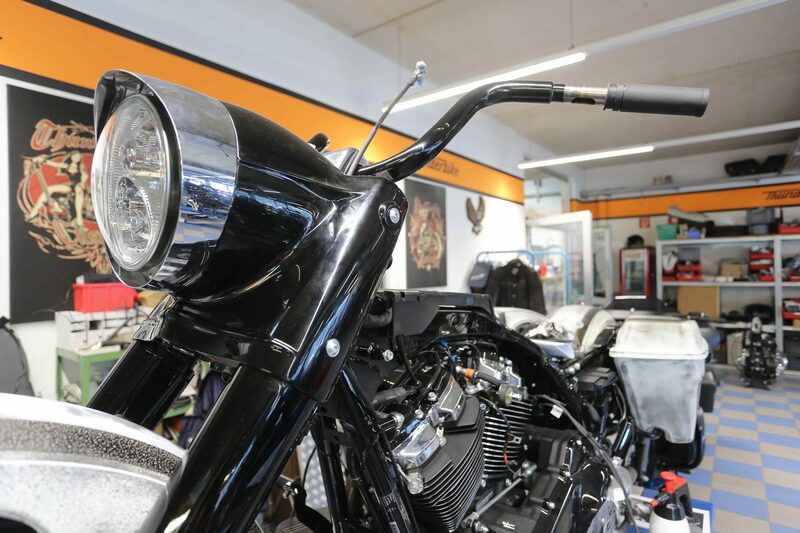 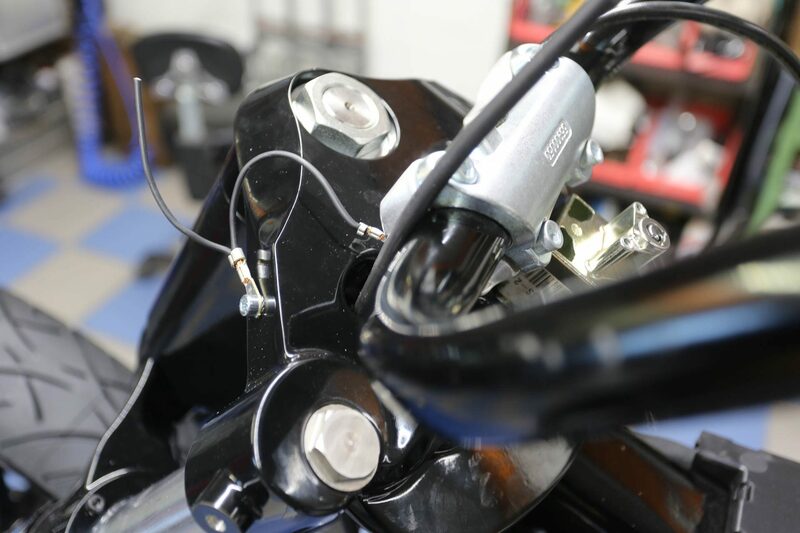 From the headlight housing on the telescopic fork to the new wheels to the powerful Milwaukee Eight engine, and the exhaust system from Dr. Ing. 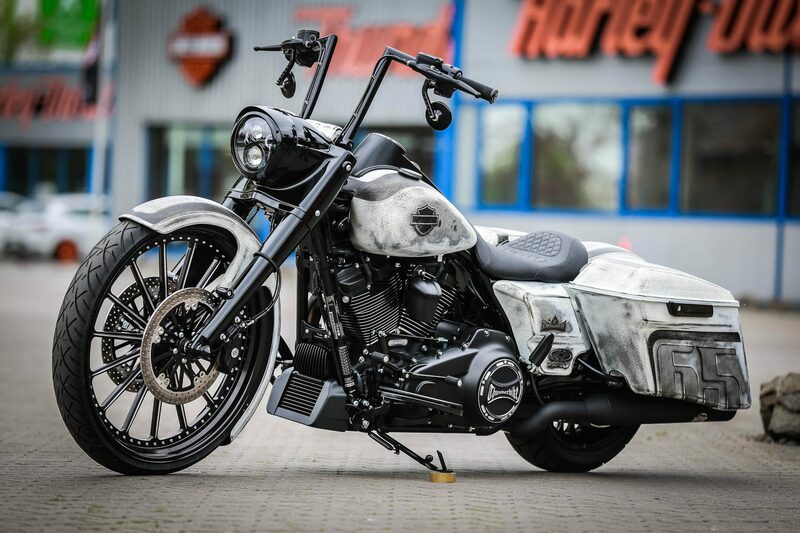 Jekyll & Mr. Hyde. 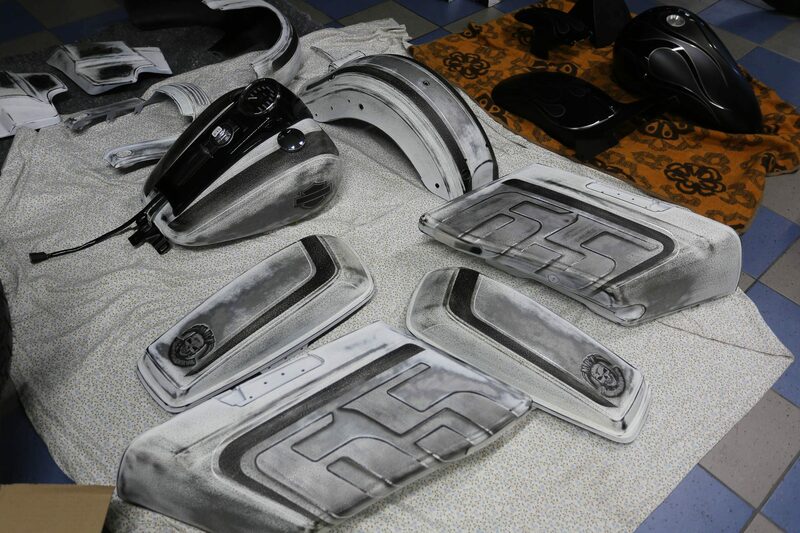 Again, Danny von Schrammwerk from Hamburg was responsible for the paint design. 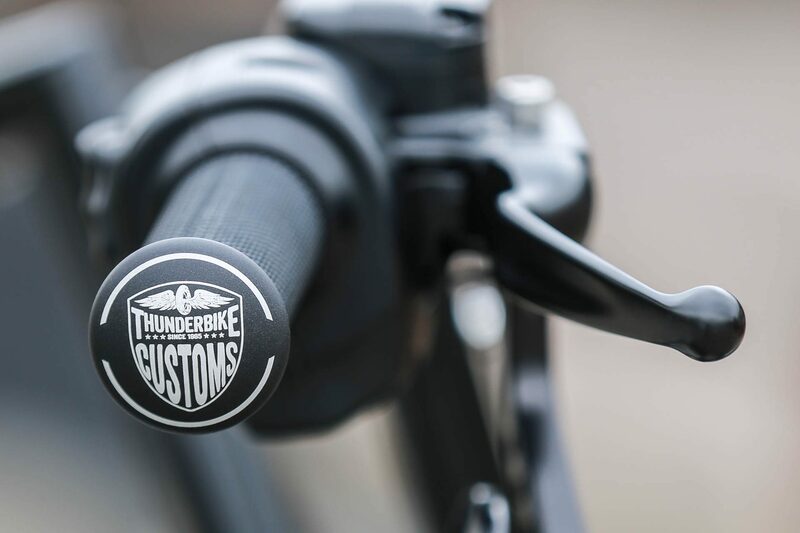 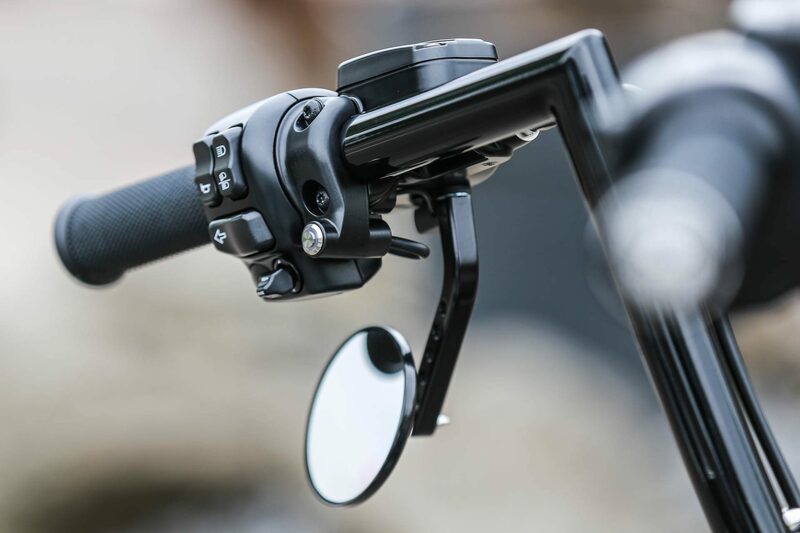 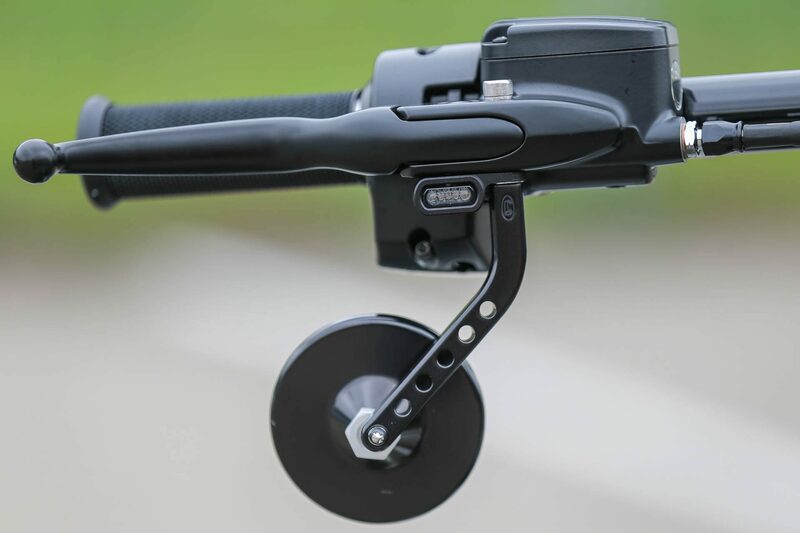 Numerous Thunderbike Touring Parts from our current TB Custombook can be found below in the list with a direct link to the online shop.